Global increases in oil prices allowed Dubai to focus on rapid development of key infrastructure and even though Dubai’s economy was initially built on revenues from the oil industry, revenue from petroleum and natural gas account for less than 5% of the UAE’s gross domestic product currently. 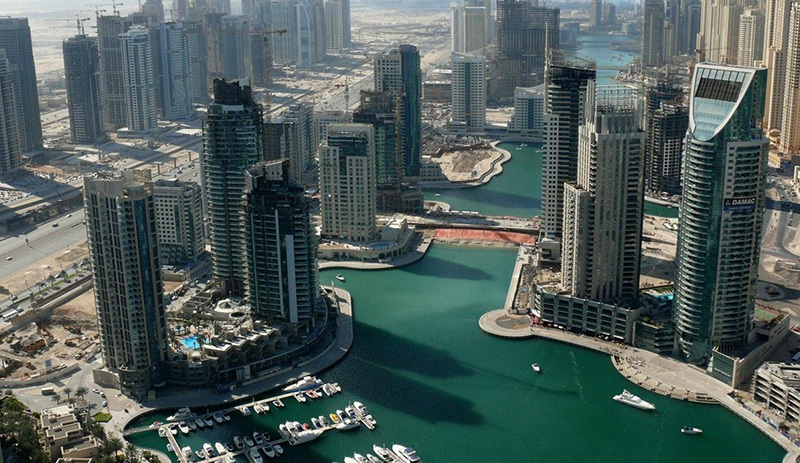 It was during the mid-1990s that many foreign trading communities moved their businesses to Dubai. Dubai is the top business gateway for the Middle East and Africa today. The government has set up industry-specific free zones throughout the city in hopes of giving a boost to Dubai property. Port Jebel Ali has the largest man-made harbor in the world, but is also increasingly developing as a hub for service industries such as IT and finance, with the new Dubai International Financial Centre (DIFC). The success of the Jebel Ali free zone, a community of over 7000 businesses from 100+ different countries today, caused the development of clusters of new free zones. This includes Dubai Internet City, an internet technology area with ownership & tax related benefits whose members include IT firms such as EMC Corporation, Oracle Corporation, Microsoft, Sage Software and IBM. Dubai Media City, a tax-free zone to increase Dubai’s presence in the worldwide media and Dubai Maritime City, which will have many facilities, including waterfronts & harbours. Dubai Knowledge Village (KV), an education and training hub, is also set up to complement the Free Zone’s other two clusters, Dubai Internet City and Dubai Media City, by providing the facilities to train the clusters’ future knowledge workers. Dubai’s economy has a fair share on focus on tourism demonstrated by state by building hotels and developing real estate. Emirates Airline, founded by the government in 1985 and is still state-owned and carried over 49.7 million passengers in 2015. 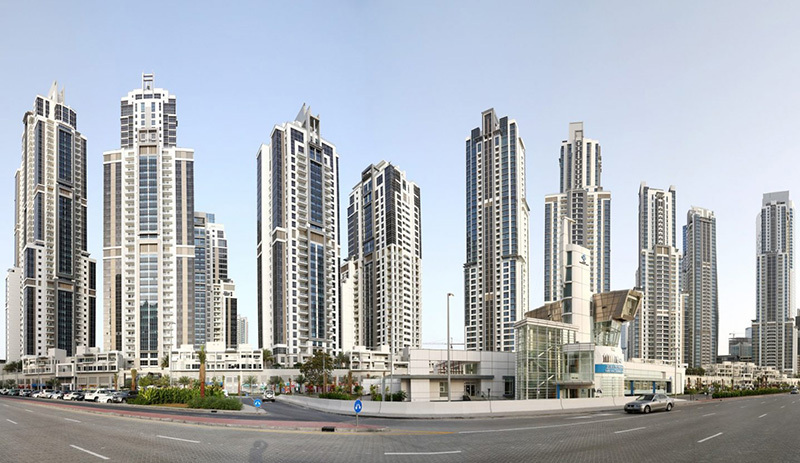 The Jumeirah Lake Towers Free Zone is a huge development in Dubai consisting of 79 towers being constructed along the edges of four artificial lakes as well as the JLT Embankment of 8 tower facing Jumeirah Islands. The tallest tower and the centerpiece of the entire complex is Almas Tower which will be situated on its own. Business Bay is a central business district under construction in Downtown Dubai. The project features numerous skyscrapers located in an area where the Dubai Creek has been dredged and extended. The Business Bay will have upwards of 230 buildings, attracting commercial and residential developments. 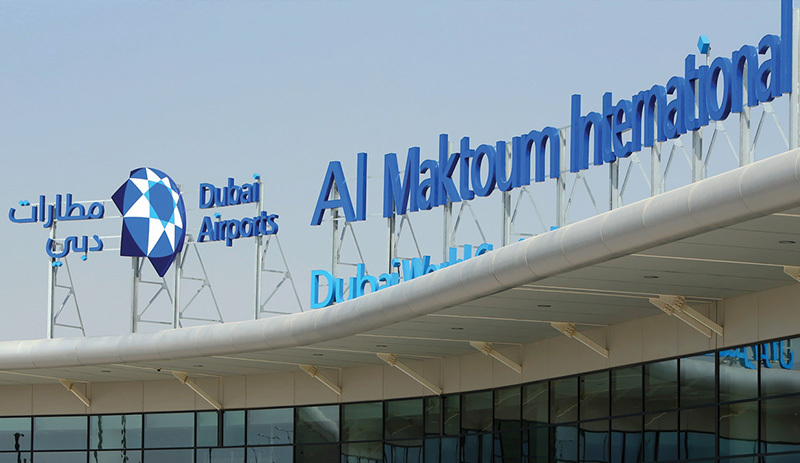 Al Maktoum International Airport is a colossal new airport under construction near Jebel Ali, south of Dubai, in the United Arab Emirates. It will be the main part of Dubai World Central, a planned residential, commercial and logistics complex. Upon completion, it will be the fourth largest air facility. Mohammed Bin Rashid City is a planned mixed-use development. 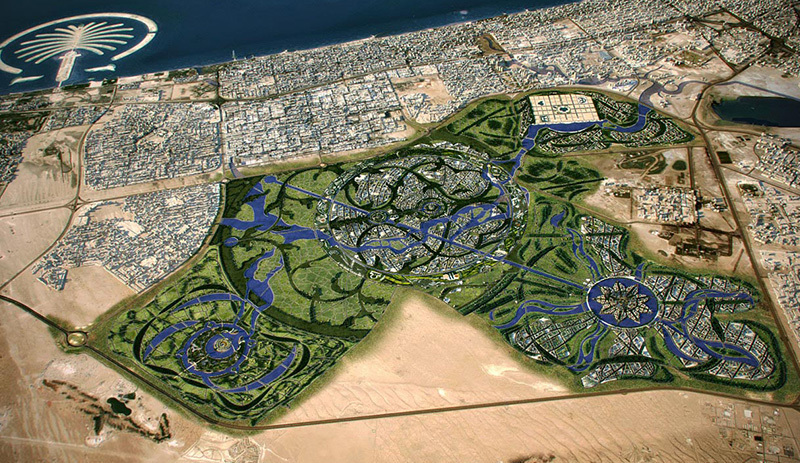 Sheikh Mohammed bin Rashid Al Maktoum announced in 2012, the establishment of a new “city” within Dubai. The complex is to contain a park able to receive 35 million visitors yearly, the largest family leisure and entertainment complex in the Middle East, Africa and Indian Subcontinent, the largest shopping mall in the world, an area for art galleries in the Middle East and North Africa and facilities for entrepreneurship and innovation.